Bath salts aren't a single type of drug, but rather a generic term for a group of synthetic designer drugs, such as mephedrone and methylone. In 2011, the Drug Enforcement Agency (DEA) enacted an emergency ban on the 3 chemicals most commonly used to make these dangerous drugs. Manufacturers, though, have remained one step ahead of law enforcement, consistently finding new ways to get around the law. A popular rumor holds that bath salts played a role in the so-called Miami cannibal attack. Investigators found no link between bath salts and the savage attack, but this doesn't mean these drugs are without risk. Most bath salts contain at least one cathinone. These chemicals are alkaloids that are closely related to methamphetamine and other stimulants. They can speed up brain activity, temporarily making users feel smarter and more capable. Increased heart rate and heart palpitations. Cold fingers (secondary to peripheral vasoconstritcion, or shrinkage of blood vessels). The symptoms may worsen with an overdose, or if you have other physical or mental health issues. It's possible to experience life-threatening effects even with your first use of bath salts. The process begins with subtle cravings, then escalates to full-fledged chemical dependency.Like other drugs, bath salts become more harmful over time, both because they become more addictive and because of the cumulative effects on your brain and body. Addiction to bath salts is a disease, not a choice or moral failing. The process begins with subtle cravings, then escalates to full-fledged chemical dependency. Mental illness, decreased intelligence and permanent brain damage. Malnutrition secondary to prolonged decreased appetite. Aggressive and dangerous behavior resulting in bodily injury. Intense depression and lack of motivation. Cardiovascular problems such as heart attacks and strokes. An increase in one's chances to develop cancer. The moment you use bath salts, the drug begins changing your brain. The first high is often the most pleasant, with many users trying the drug again to alleviate cravings. Cravings can be mild, such as when using bath salts just seems like a fun idea. On the other hand, cravings can be intense, such as when an addict experiences depression when he can't use bath salts, or when bath salts dependency leads to severely unpleasant physical withdrawal symptoms. If you're able to consume more bath salts now than when you first started, then you already understand the process of tolerance. All drugs, bath salts included, steadily result in increasing tolerance as your brain and body subtly change to accommodate your drug use. As you become tolerant, you may need larger and larger doses of bath salts to get the same high a lower dose once offered. This makes you more vulnerable to accidental overdoses and helps nurture a nascent chemical dependency. Dependence is the result of crossing the threshold from recreational user to the addict. Addicts are psychologically and chemically dependent on bath salts, making it very challenging to quit. Unlike a recreational user, an addict's body convinces them that they need bath salts much like food or water. The result is a host of unpleasant symptoms in between doses or when an addict tries to quit. If abuse of bath salts or other stimulant drugs is interfering with your life, a substance abuse treatment program can help. Speak to a treatment support team member today at 1-888-993-3112Who Answers? to find out more about your bath salts abuse treatment options. Withdrawal is the inevitable--and inevitably unpleasant--outcome of chemical dependency. When you suddenly remove bath salts from the equation, your body revolts, doing anything to get another fix. Withdrawal can include mild symptoms such as nausea and vomiting, as well as intense psychological distress. In some cases, withdrawal can even become dangerous, resulting in symptoms such as malnutrition, dehydration, or even suicidal feelings. 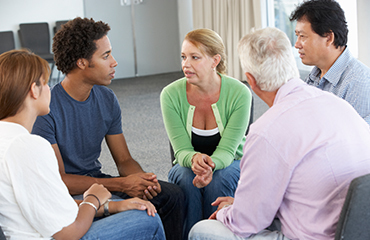 Find an NA Meeting Narcotics Anonymous uses a 12-step approach to help you or your loved one overcome an addiction to bath salts. Addiction to bath salts can cause you to do things you'd never consider doing otherwise. The desire to fulfill cravings leads to desperate and often dangerous behavior, and many bath salt addicts alienate their friends, family, and other loved ones. Bath salts are increasingly hard to get, and the ingredients in these drugs are unpredictable, which means that a bath salt addiction may mean a perpetual search for your next fix. Products that are not actually bath salts may be marketed as such, leading to unpredictable side effects and a perpetual risk of overdose and dangerous drug interactions. Health problems that further complicate financial issues. Difficulty feeling like yourself when you're not high. Difficulty feeling emotions, numbing, and apathy. Structuring your life according to when you'll get your next bath salts fix. Stimulant use disorder or addiction is itself a diagnosed form of mental illness, with the power to wreak havoc on your psychological well-being. Aggression is a common problem among people high on bath salts, as well as those experiencing cravings. The behavior your addiction can lead to may also compound or lead to deteriorating mental health. For instance, if you react angrily to your child as a result of a bath salt addiction, your relationship could be destroyed, or you could lose custody. This, in turn, might lead to depression, anxiety, or a worsening dependence on bath salts. There's also a direct connection between bath salt addiction and mental illness. 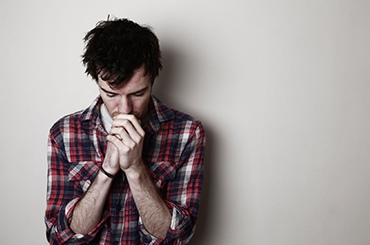 Research suggests that about half of all addicts have an underlying mental health condition. Bath salts may temporarily alleviate symptoms by offering a distraction that helps you cope with the pain of everyday life. Over time, though, your addiction will only deplete your ability to deal with daily stress, and may even harm your brain in a way that worsens your mental illness. If you're struggling with addiction, mental illness, or a dual diagnosis, treatment does work. The sooner you pursue help, the sooner you can move past the pain of addiction. Call our toll-free helpline at 1-888-993-3112Who Answers? to speak to a compassionate treatment support team member about recovery options today.